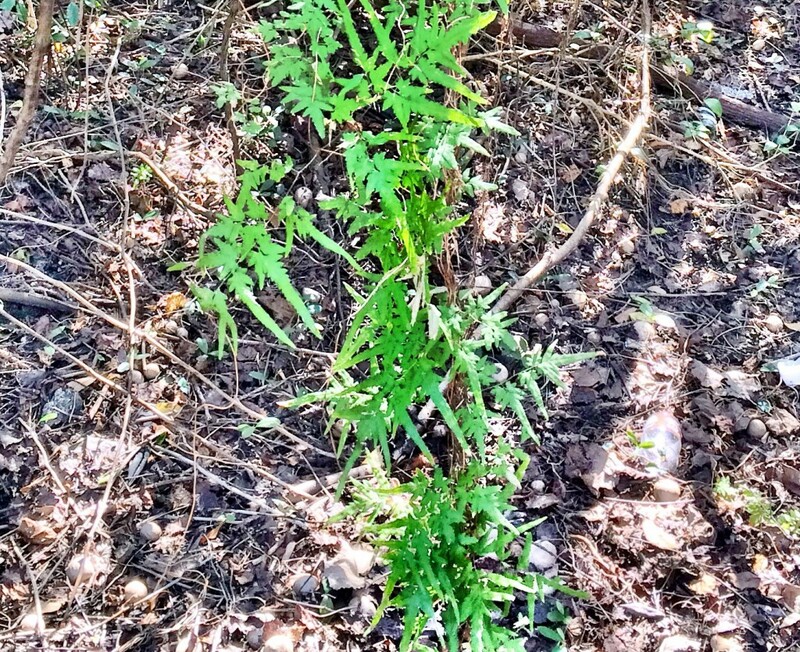 Japanese Climbing Fern (Lygodium japonicum) and Old World Climbing Fern (Lygodium microphyllum) are presently the only non-native invasive ferns in Florida. Both ferns reproduce and spread readily by wind-blown spores. Animals, equipment, and even people that move through an area with climbing ferns are very likely to pick up spores and move them to other locations on the property or even to other properties. Japanese climbing fern is a delicate looking perennial climbing vine. It is capable of forming a dense mat-like thatch capable of covering trees and shrubs. Initially, it was introduced from Japan as an ornamental. It is scattered throughout the lower portions of Alabama, Georgia, Louisiana, South Carolina, and south into central Florida. Further planting or cultivation of this vine is prohibited by the Florida Department of Agriculture and Consumer Services. Old World climbing fern has been a problem for many years in central and south Florida but it is currently moving north. The northern edge of its advance is now just south of Marion County. Adequate control of both climbing ferns has been achieved with multiple applications of glyphosate. Other herbicides have also been used to control Japanese climbing fern. As with most invasive plants, repeated and correctly timed treatments are likely to be necessary.